A public art display meant to shed a light on the issue of minorities in prison went up along Sacramento Avenue near 26th Street on the city's Southwest Side. 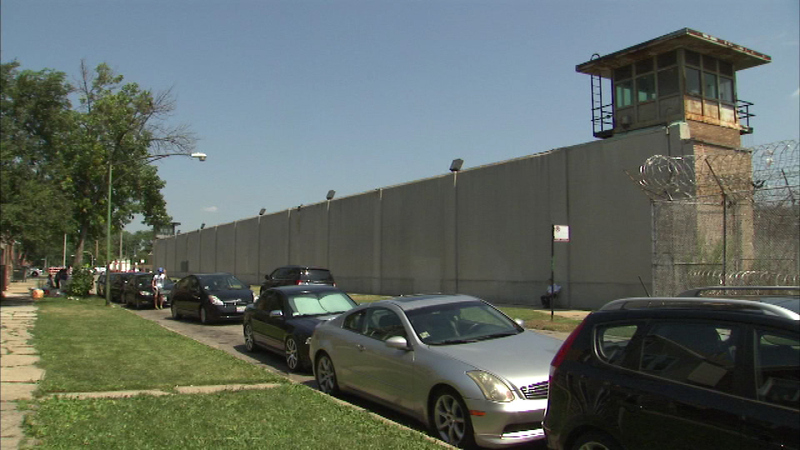 CHICAGO (WLS) -- A public art display meant to shed a light on the issue of minorities in prison went up along Sacramento Avenue near 26th Street on the city's Southwest Side. One hundred cars lined the outside of the Cook County Jail. Organizers say those vehicles - 67 black, 19 brown and 14 white - represent each percentage of the inmate population that is Black, Latino, and White. The event was organized by 96 Acres, a group for social justice issues that examine the impact of incarceration.